Welcome to The Old Rectory. 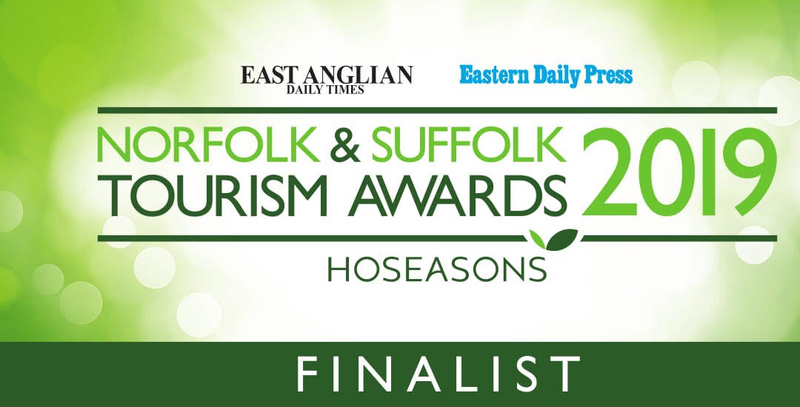 Set in two acres of beautifully landscaped gardens, our Grade 2 listed Georgian home offers 5 Star Gold B&B accommodation, positioned a short walk from Kessingland beach and a fifteen minute drive to Southwold; an ideal location for exploring Suffolk’s heritage coastline. We have a breakfast award for the extensive range and quality on offer and our produce is sourced locally. Our guests are welcomed with a complimentary cream tea with home baked scones and handmade preserves. 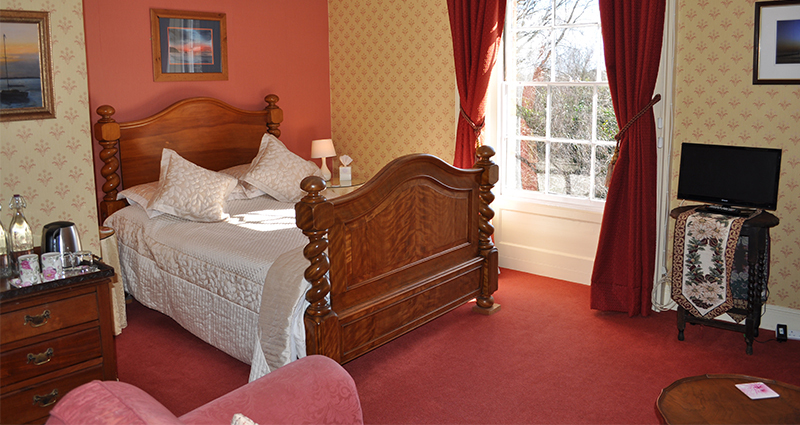 All rooms are tastefully decorated and equipped to a high standard and furnished with antiques in keeping with the property. 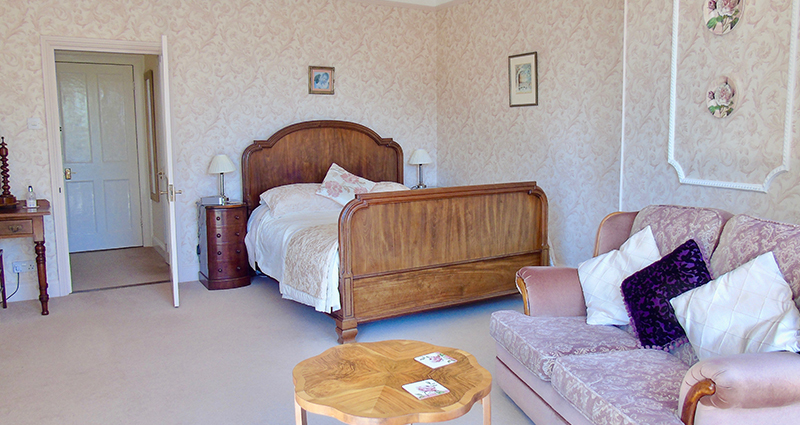 Our aim is to provide a luxurious, tranquil and relaxing break. Our beautiful spacious Master Bedroom is tastefully decorated and has a King size bed, dressed to impress. Relax on the sofa in the triple aspect bay window and enjoy the views down onto the stunning gardens. 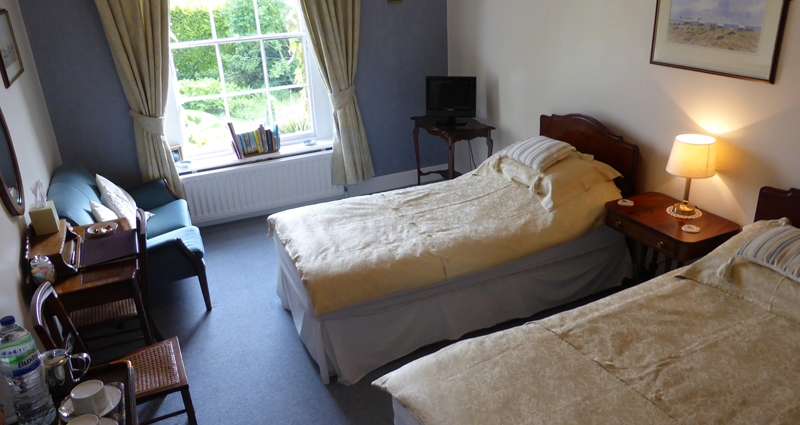 Our pretty blue room, with Twin Beds, can also be configured as a Super King Bedroom. It has views over the formal front gardens and rockery; a great place to wake up and watch the pheasants, muntjac and squirrels.